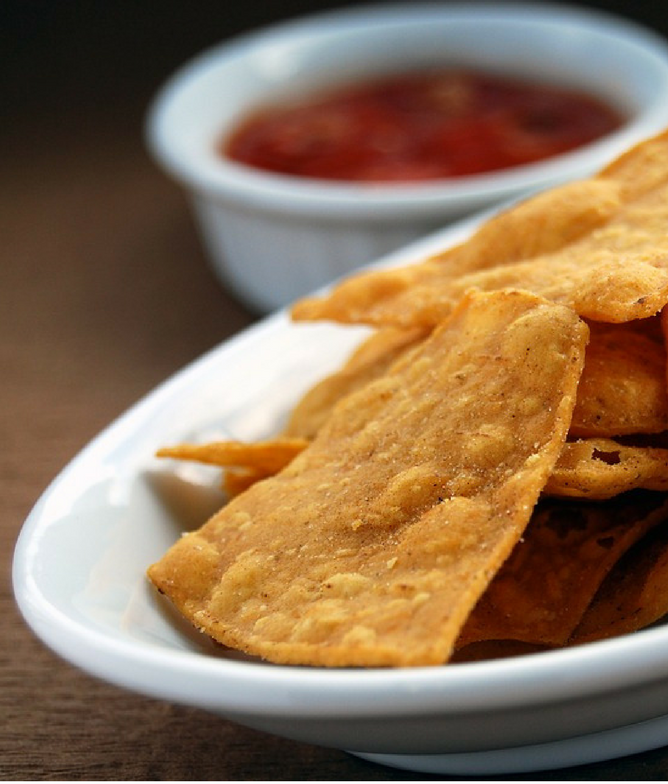 Try something new this year and make your own tortilla chips at home! Making your own chips helps to cut down on unhealthy preservatives and lets you manage your salt intake. Simply cut corn tortillas into chip-sized wedges and arrange in a single layer on a cookie sheet. Lightly brush with olive oil and lime juice. Combine cumin, chili powder and salt in a small bowl and sprinkle on the chips. Bake for about 7 minutes, rotate and bake for another 8 minutes or until the chips are crisp, but not too brown. Serve with fresh guacamole and our delicious Mixed Vegetable Pâté (a colorful combination of cauliflower, spinach, broccoli, and carrot), and enjoy!